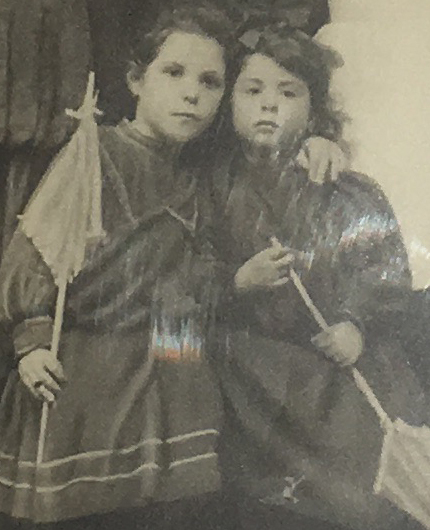 In 1908, when my Grandma Lea was four years old she, along with her brother and three sisters, went to live in an orphanage in New York City because their single mom was too poor to provide for their basic needs. And there they remained for four years until their mom remarried and they were able to return home. When I think of my work designing healthcare spaces, I am reminded of the towel on my Grandma’s head. Your newly designed space makes your patients and clients feel deeply nurtured by you when they are at their most vulnerable–both emotionally and physically–in the same way the towel helped my Grandma feel safe in that very scary time of her early life. One of the pushbacks I sometimes hear from clients is centered around the fear of redesigning their medical or healthcare space because it will feel too much like a spa and will give the wrong impression to their patients. 1) Your patients and clients want to feel nurtured by you. 2) They want to feel comfortable and safe when in your space. 3) And they want your office, treatment or waiting room to feel like a spa—with cozy chairs and beautiful artwork in a serenely lit room. Your patients want to feel safe around you and around your team so they can be receptive to the best possible care. You and your healing space can be the towel. Your patients will love you for it and will reward you with years of loyalty and spreading the good word to the world about amazing you. That’s the power of your space.